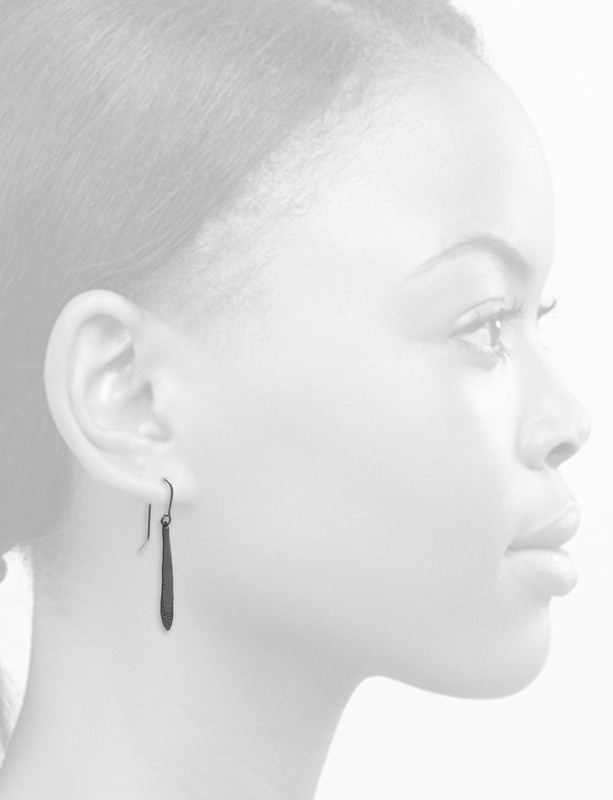 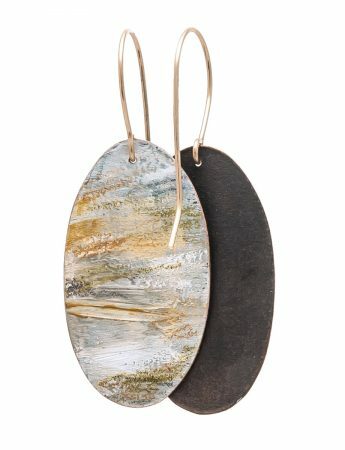 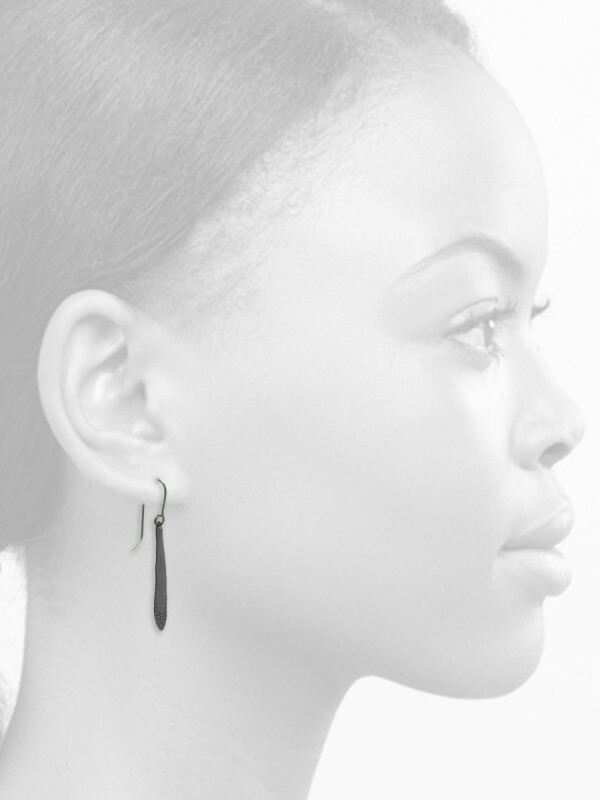 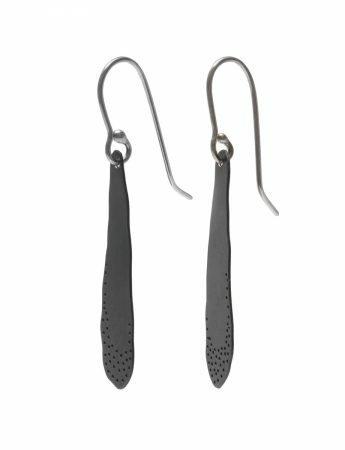 Blackened silver abstract leaf silhouette earrings handmade by Elizabeth Kennedy. 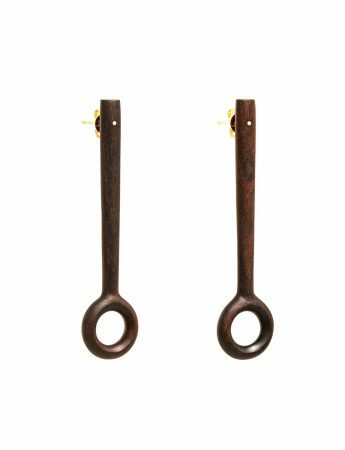 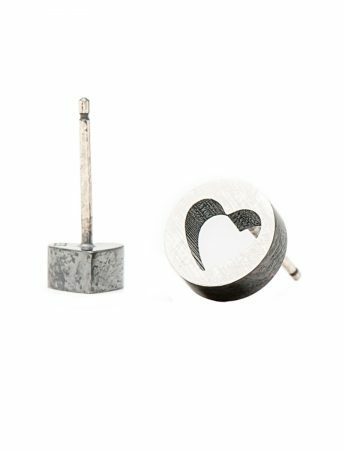 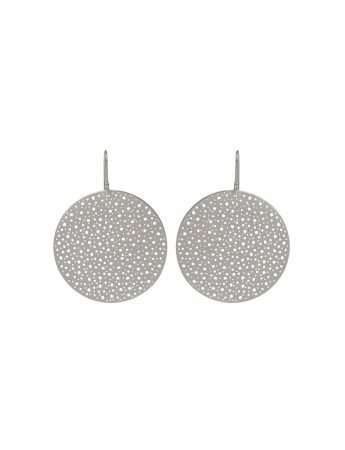 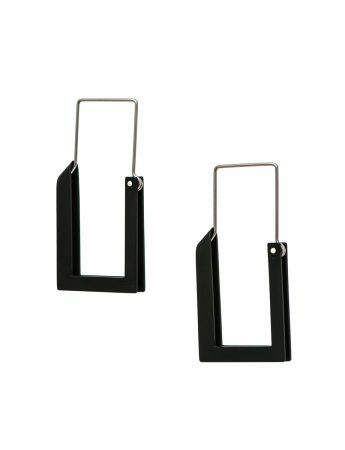 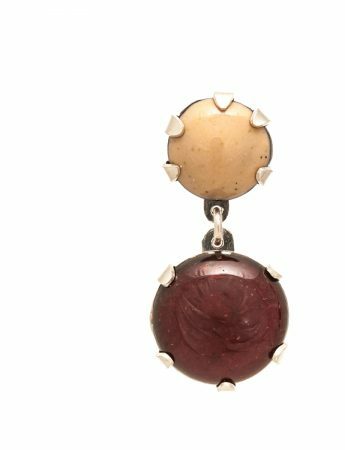 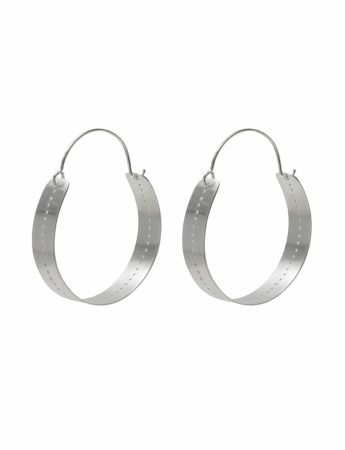 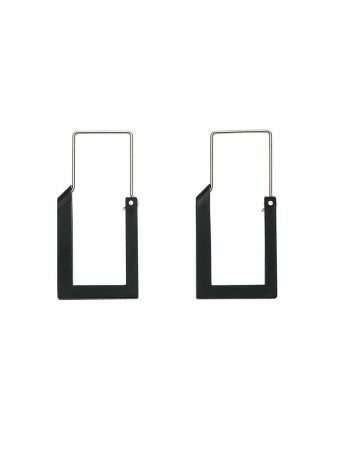 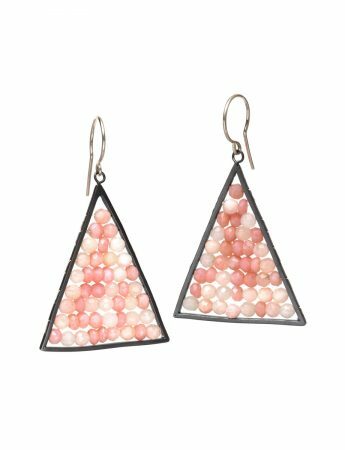 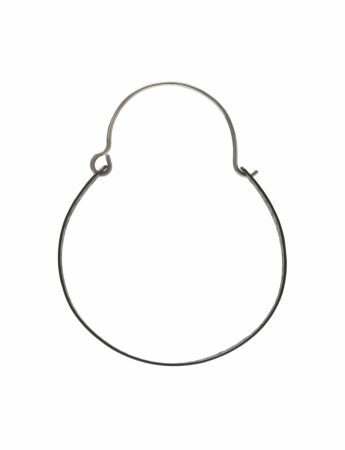 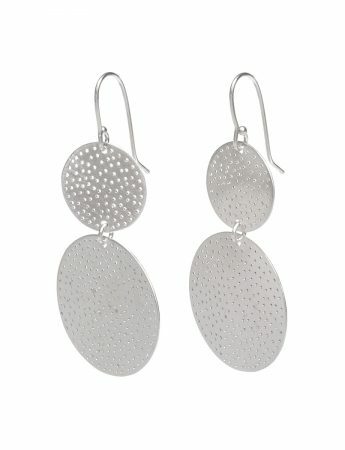 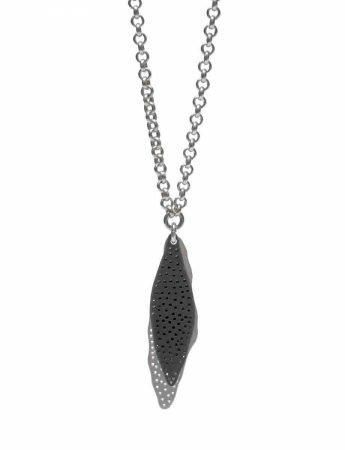 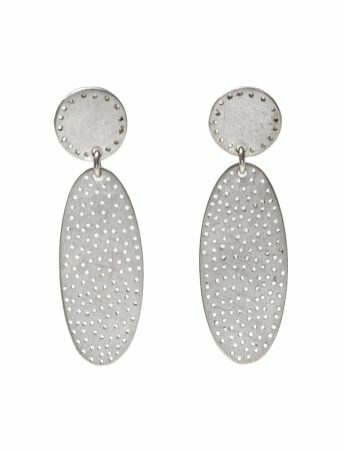 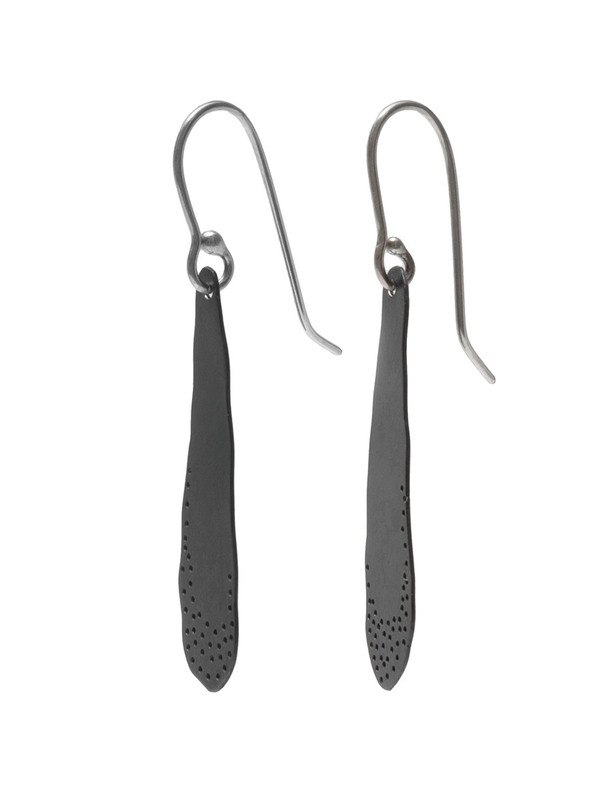 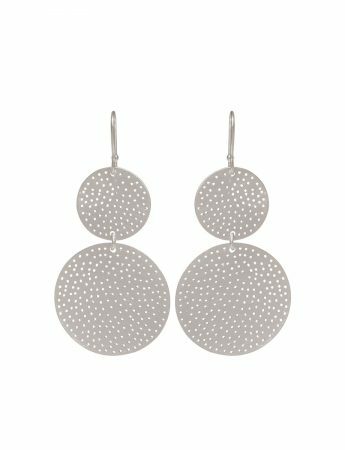 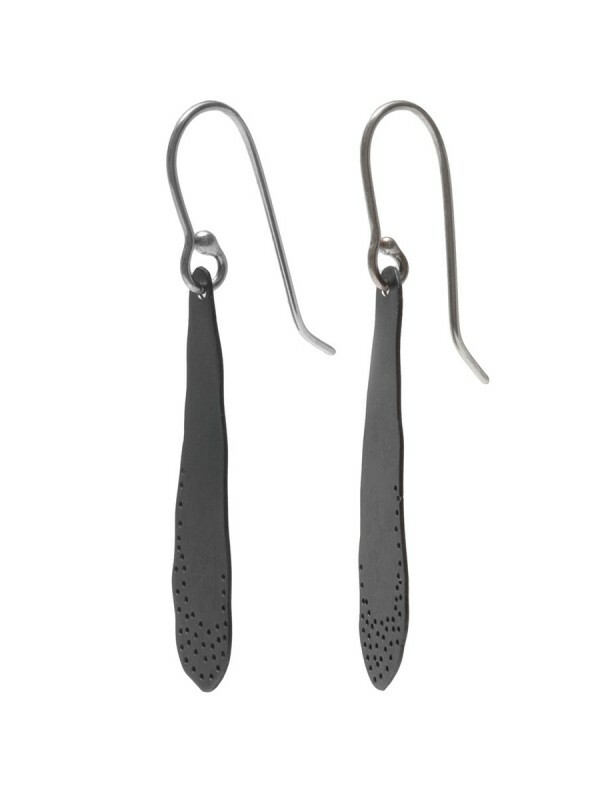 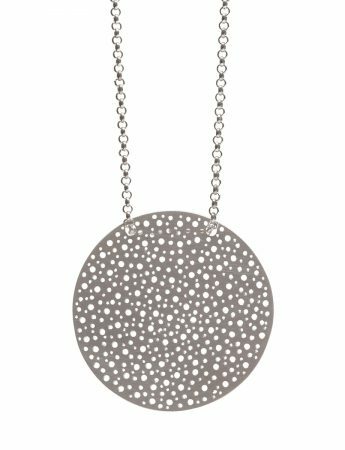 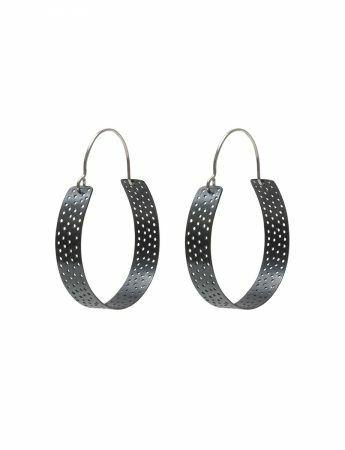 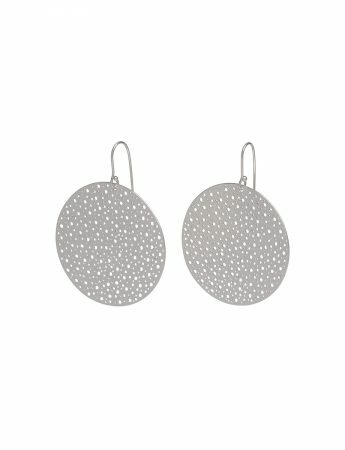 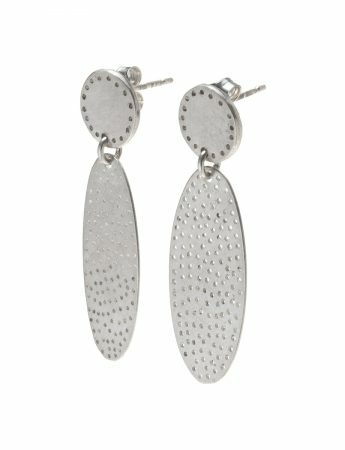 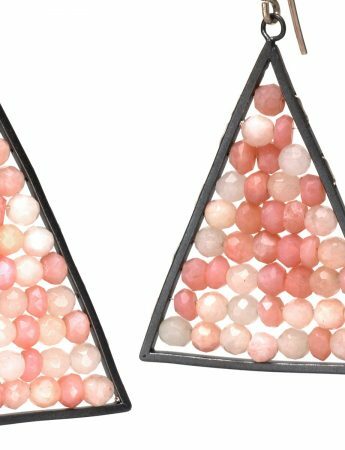 The earrings have a series of perforations individually drilled into the surface, bringing light into the material. 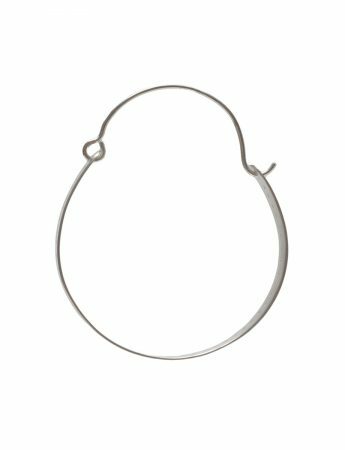 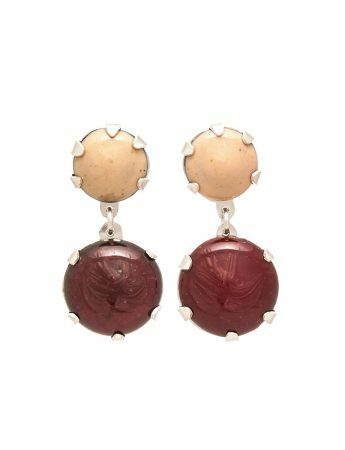 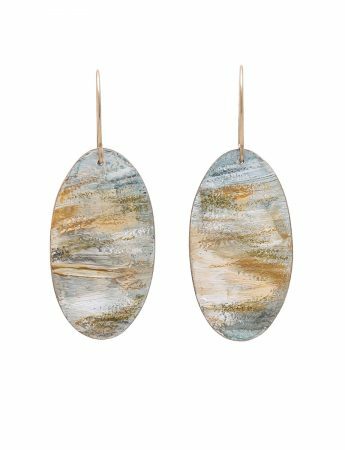 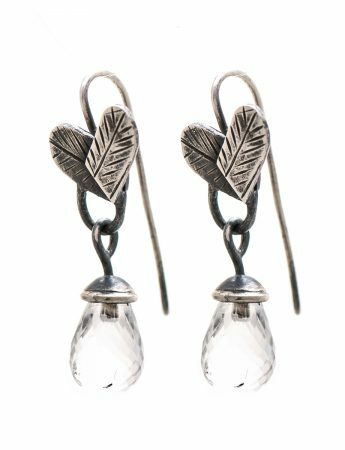 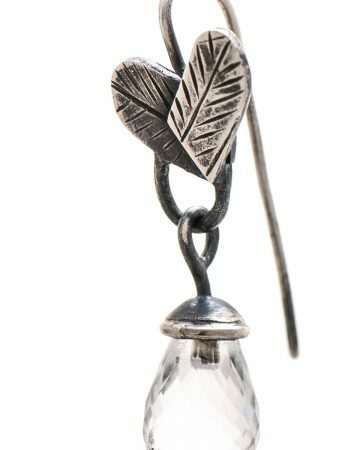 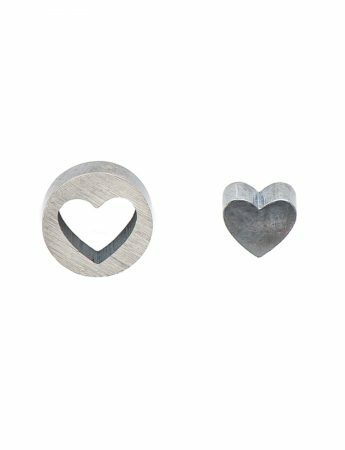 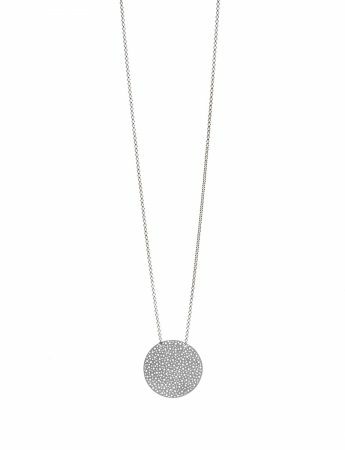 As each of Elizabeth’s pieces is individually handmade, no two pieces are alike. 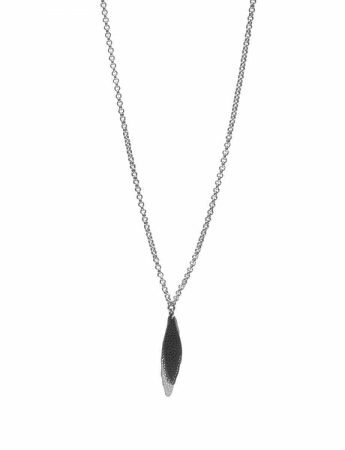 Your piece will be similar to the piece pictured, however details may vary. 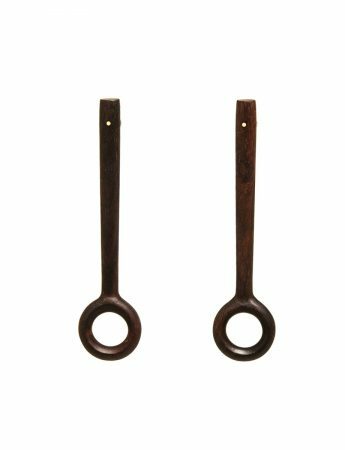 This adds to the unique story of your handcrafted item.